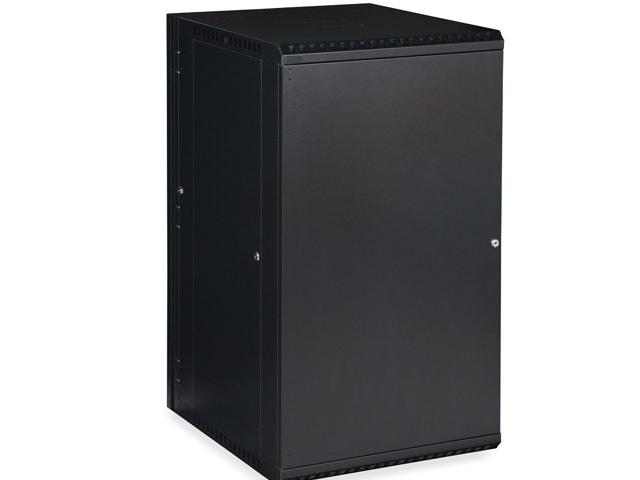 SOLITINE Swing-Out Cabinets are designed to solve the problems technicians have while installing and managing the immense amount of cabling that is all-too-common with datacom and telecom equipment. LINIER Swing-Out Cabinets, swing-out 90 degrees from the wall and have removable locking side panels giving easy access to all four sides of the cabinet. Locks keep equipment secure, while removable cable slot panels make managing cables simple. When heat is an issue, simply install the optional fan kit (sold separately) into the laser knockouts.